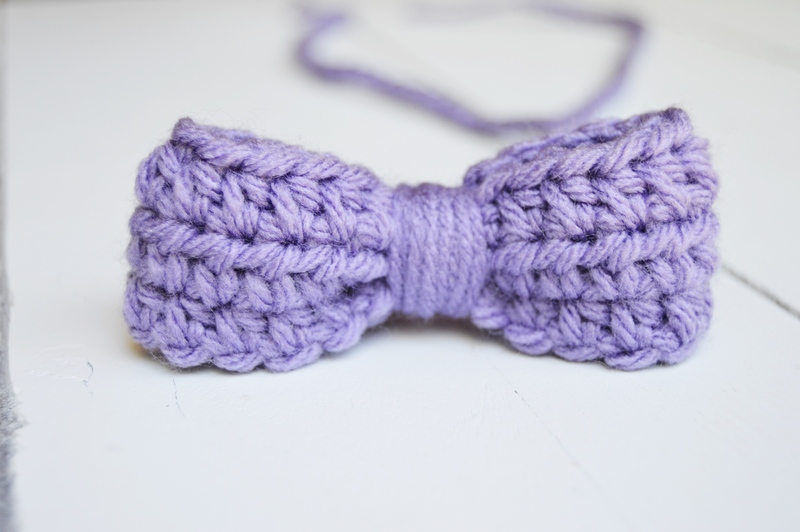 This week’s happy project is this awesome crochet bow. This lilac color is one of my all time favorites and can be seen in a lot of my yarn work. The bow is on a chain and can be worn as a headband or even as a bowtie! Find it here in the shop. The noise machine in our house is this yellow angry bird squeaky toy. Ivy LOVES this toy. She shows more attention to this toy more than any other she has ever had. 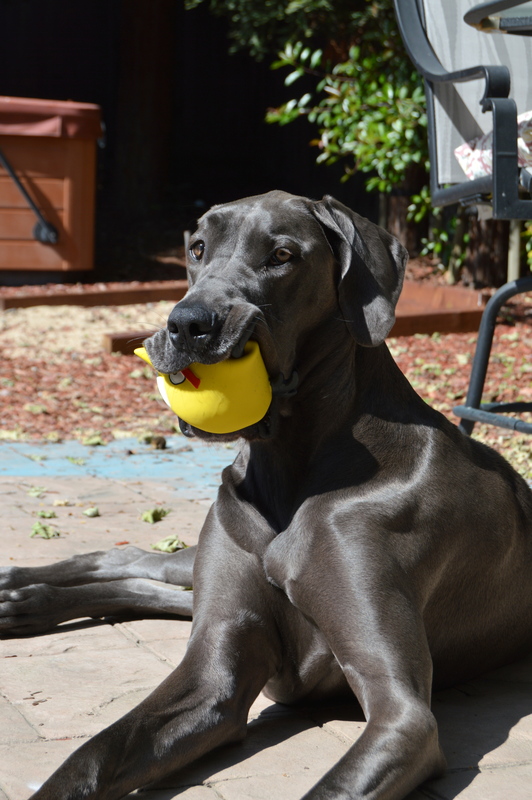 The high pitched squeaky sounds that come from it aren’t our favorite but we’ve learned to tune it out… kinda. She takes thing everywhere in the house with her. Often times I have to slowly take it out of her mouth after she has fallen asleep. 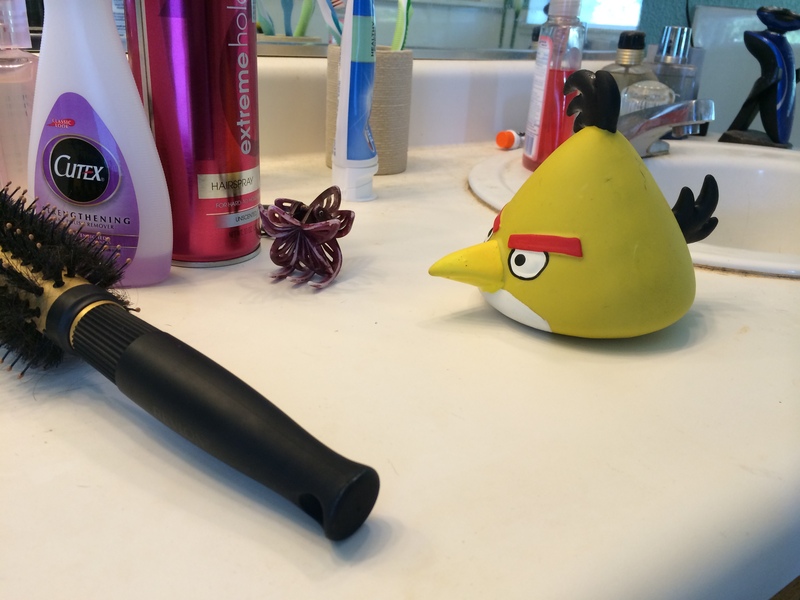 Here is the creepy looking toy right where she left it on the bathroom counter. Clearly she had to put it down in order to get a drink of water from the sink and she left it there…to scare the crap outta me in the morning as I groggily walked in.